We warmly welcome paid staff in congregations, as well as lay leaders who are passionate about the ministry of belonging! 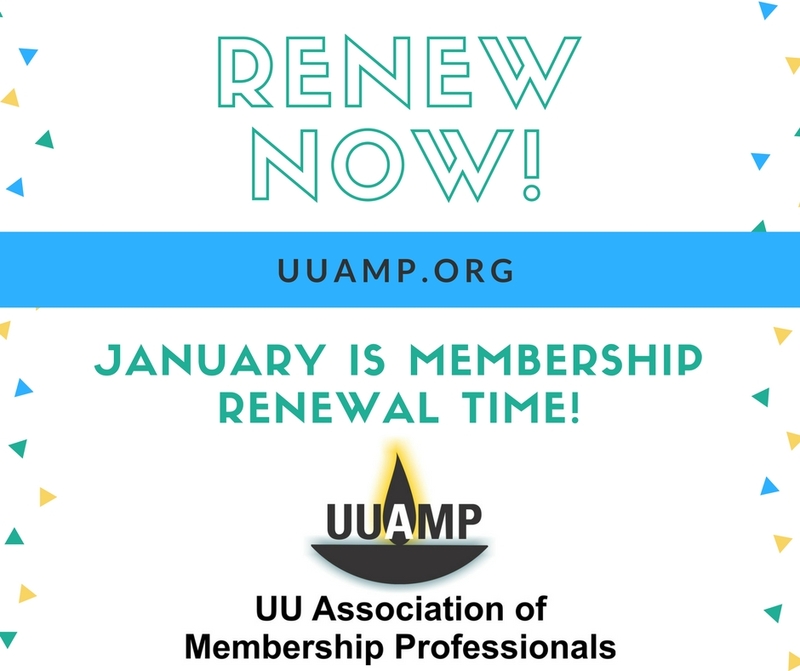 If you're ready to become a member, fill out our online membership form and you'll receive confirmation and an invoice via email with options to pay the $50 dues by check or PayPal. Educational opportunities such as Book Discussion Groups and Webinars, Best Practices seminars and workshops at Local, Regional, and National conferences. Opportunities for professional growth and renewal at our Professional Day gatherings. Opportunities for interacting with others doing membership work on our UUAMP Facebook Page where instant feedback and sharing help us with our challenges and triumphs. An updated website full of practical and immediately usable tools and resources. A Mentoring Program available for new UUAMP Members. Networking opportunities for all Members by email or phone to problem solve. Fellowship and support from colleagues who share your vision and goals. An opportunity to advocate for the professionalization of the important ministry of membership professionals. Organizational voting rights within UUAMP on issues affecting the future of our faith. Increase your value to your congregation by professional development and from sharing of fresh insights, new perspectives and best practices. I look forward to meeting you and beginning your journey with UUAMP. If you have any questions, please let me know. 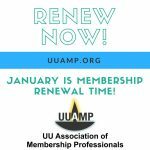 On behalf of the UUAMP Board, welcome!